SANTA MARIA — Santiago Mendoza Jr., a Santa Maria ISD teacher, was arrested recently and placed on administrative leave after being accused of inappropriately touching a student, according to the Cameron County Sheriff’s Department. 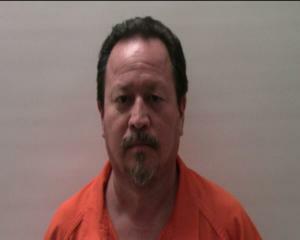 Mendoza, 53, is charged with assault by contact. He has been suspended pending the ongoing investigation. According to the school district’s website, Mendoza is listed as the high school and junior high band teacher. He is accused of touching one of his students. The school district issued a statement that they are aware of the allegations of improper contact by a teacher. The release also said the district cannot comment on the matter but takes swift action to ensure the safety of all students. Cameron County Sheriff Omar Lucio said Mendoza was arrested at Santa Maria High School on Jan. 25 and later admitted in a statement to touching a 15-year-old student on campus. Santa Maria High School is located at 11224 Military Road. Lucio said the student complained to her mother that Mendoza was touching her. Lucio said the girl reported to her parents Mendoza hugged her and lifted her shirt during the embrace and rubbed her bare skin. The student also said Mendoza lifted her shirt twice and slapped her on the buttocks with his hand, according to Lucio. Mendoza’s arrest comes two days after the mother of the student filed a complaint against the band teacher. Mendoza was taken to the county jail and magistrated by Judge Louis Sorola. Sorola handed Mendoza a $500 bond. According to jail records, Mendoza was later released after posting bail on a personal recognizance bond.